The Cocospy Text Message Spy can help you spy on text messages without someone knowing. You can use this on Android 4.0 or iOS 10.0.0 or higher phones. Cocospy is a helpful app that lets you see what someone is doing online. The features that come with Cocospy are plentiful. Get information on all the SMS messages someone sends or receives. This includes details on the phone number someone communicates with and the name of that other party. Find a record of all the phone calls someone makes or receives. Review someone’s location with GPS and Wi-Fi connection location alerts. You can also set up a geofence and get alerts when a person leaves that zone. Check all the notes, calendar details, address book points, and other bits of data someone enters into Cocospy. Review the keylogger to find one’s passwords for certain apps. Read the user’s web browsing history. When you root or jailbreak a phone, you will get access to many non-default apps. You can find information on someone’s Facebook, Snapchat, Tinder, Gmail, or Instagram accounts. Access the target device and download and install Cocospy. Use your control panel on your phone to see what is happening on the target device. The next solution you have is for iOS devices. You can use the iCloud system to read texts from another phone without getting physical access to that device. The Cocospy iOS system works with the same features that you’d get out of an Android device. But the big difference is that you can get access to an iOS phone by using an iCloud account. In this situation, Cocospy will review what is on the target device’s iCloud account and refresh that data each day. This process does not require you to jailbreak the phone, but it is not as though you would need physical access to it at this point. 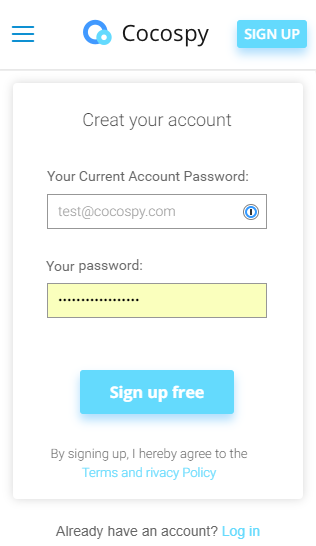 Sign up for your Cocospy account for free. Enter in the username and password that links to one’s iCloud account. Look up the iCloud information reported onto your control panel. Cocospy lets you read text messages in private without anyone knowing that you’re using the app. When you do install Cocospy onto a phone, the app will run in the background and without any visible icons or links. The app does not slow down the target phone either. Be aware of what you are doing as you use a spy app when reading someone’s text messages. Cocospy gives you the control and support you need for seeing what is on someone’s phone. You will know for certain what someone is trying to text when you see what Cocospy has reported.